Freezing rain to cold rain, then snow with strong winds & falling temperatures.............& the latest outlook to June. The rainfall is still just south of I-70 as of 1 p.m., so it is taking longer than expected for the rainfall to move in today. Because it is taking longer, by the time it gets up here into our area, temperatures will MOSTLY be above freezing. This will result in much of it falling as a cold rain & not freezing rain. Notice how I say MOSTLY, however. North of U.S. 24, it will likely begin as freezing rain with brief very minor ice accumulations. In Fulton, eastern Pulaski, northern Cass & Miami counties, the surface temperature may remain at or below freezing to as late as 2 a.m. tonight, however. This will result in an extended period of freezing rain. Ice accumulations of 0.10-0.15" are possible in that pocket before changing to a cold rain. All this said, temperatures will rise from the current readings of 29-35 to 34-40 by early morning Tuesday. Fog will be an issue until the winds kick up. It may turn dense in areas this afternoon. It will turn breezy to windy evening-tonight, which will help to mix the worst of the fog out. Notice the gusts to around 40 mph tonight in the northeast part of the viewing area from the east. Given the potential of 0.10-0.15" ice in that pocket, a few dead snags & branches may come down. Some live branches off Eastern White Pines may come down. Overall, peak gusts tonight will run 26-40 mph over the viewing area. Rain will taper Tuesday morning & winds will greatly diminish. A period of dense fog is possible. After 11 a.m., the wind will kick back up (this time from the southwest), helping to mix the worst of the fog out & rain will re-develop as strong cold front approaches & surface low deepens quite a bit over far eastern Illinois & over the top of our viewing area. Strong cold front should cross the area in the 1 p.m. to 3:30 p.m. time frame. As this passes, a very rapid changeover to snow will occur with a big uptick in the wind as it turns to the northwest. Temperatures will fall from 37-44 to 25-29 very quickly. The main area of snow will exit by 6 a.m. Wednesday, though some flurries & snow showers may linger to as late as 10 a.m. in parts of the viewing area. If you are prone to aches & pains with low surface pressure, Tuesday afternoon-night will not be a good time for you. Our surface pressure should drop to around 996 mb Tuesday late afternoon-evening, followed by a very rapid pressure rise to 1006 mb by early Wednesday morning. So, the surface air pressure will tank, but rise back quickly. Winds will be strong Tuesday late afternoon-evening-night. They will not substantially diminish until early Wednesday morning. Peak sustained winds of 15-30 mph are possible with peak gusts of 35-50 mph. A couple isolated gusts may reach 55 mph (like last week's wind episode). Wind chills may drop to as low as 0 late Tuesday night-early Wednesday morning. 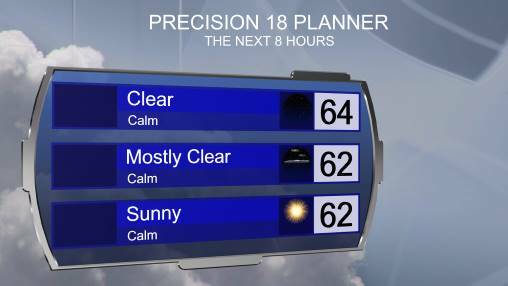 Conditions will really tank Tuesday late afternoon-evening & into the night. With 1-3" of snowfall & such high winds, there will be low visibility & a lot of blowing & drifting snow. Roads will still be in bad shape Wednesday morning, especially in rural areas. Some data suggests some +3" snowfall amounts. I am not ready to go with that yet. I think 1-3" looks good. Things will get much better Wednesday midday-afternoon as temperatures warm & the winds continue to diminish. After 17-22 for lows by early Wednesday morning, highs Wednesday should actually reach 29-33. Rain will overspread the area later Thursday with strong south-southwest winds up to 32 mph. It will likely end as snow Friday as temperatures tank with Arctic front. Temperatures should fall from the 40s to to the teens rapidly. The potential is there for minor snowfall accumulation, perhaps 1-2". Confidence is less in snowfall amounts with the second system, compared to the first, so stay tuned for updates to the forecast on the second one. Snow is possible (with accumulation) from clipper, then a Colorado low or two next week with cold weather settling in with temperatures averaging 12 degrees below normal. A couple of clippers with snow around February 22-23 are possible, too. The longer-range model data now matches my analog analysis suggesting a sudden, brief warm episode at the end of February. I do think the potential is there for another flash spring scenario. 50s to 60s are possible here with rain & t'storms & severe weather risk from southern Indiana to the Gulf Coast. Temperatures may approach 80 in Tennessee, northern Alabama & northern Georgia. However, note what is lurking behind it as another shot of bitterly cold air approaches. Temperatures in northern Montana may be at record cold levels at 50 degrees below normal. Here comes the cold in the first few days of March. Given the potential of a winter storm in early March laying down snowpack, this Arctic outbreak near March 5-7 has the potential to be the worst for March since 1960. In fact, I think it is still possible that the first 9 days of March are indeed the coldest since 1960, which was the coldest start to March on record (all the way back to 1879). March 7 shows an impressive snow pack from our area to Canada, helping to keep the cold coming. Our forecast snow pack at that time is 2-6". +20" snow packs will reside in the northern tier of the U.S. with 12" snow pack in parts of Iowa. I still think there is high potential of a snow event deep into the southern U.S. in February or March, possibly both. Note the projection of a southern snow in mid-March in the image below. I think the snow could reach even farther south than shown here in some event(s) in February &/or March. We may have Arctic outbreaks & winter weather events last to mid-March. It would not surprise me a bit if the biggest snowfall or winter storm of the winter is in the first half of March. When will this break? Latest analog analysis (similar years with similar patterns) suggests we may have to wait until St. Patricks day & after to see a sudden & then persistent surge of warmth. After that, data sure supports consistent warmth, but we have a good +1 month of winter left to get through & it may be a doozy for winter weather that tends to linger on & on & on. Analog data (most similar years in the past to our current one) continues to suggest warmer than normal April overall. I took the years OPPOSITE of our current year pattern-wise. Aprils exactly OPPOSITE of our pattern were colder than normal. They were also wetter than normal. Mays that match our pattern this year the most show a tendency for above normal temperatures. Mays that match our pattern this year the most show a tendency for a bit below normal rainfall. Precipitation was near normal, if not a hair below in OPPOSITE years averaged. June 2019 looks stormy & wet like 2010 in the viewing area. Analog continues to suggest a cooler & wetter June with below normal temperatures in our area & then northward & above normal temperatures south of our area. With us being in this baroclinic zone (temperature difference) with semi-permanent stationary front, severe weather risk & heavy rainfall shows a higher-than-normal risk for June 2019). 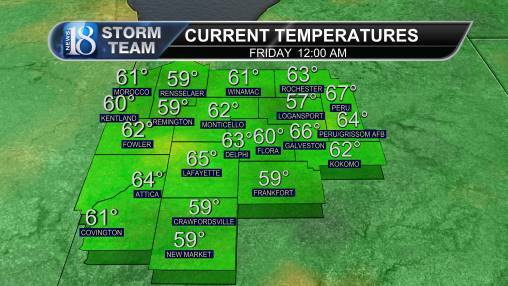 However, the temperatures are not that much below normal for us as you can see, in the map. The main reason for this is that the nights look warm & humid with all of the rain & storminess around, while the days look a bit cooler. The temperatures may be brought down by the cloudiness & high humidity & very wet soils. So, the warm nights & cooler days even out to about 1 degree below normal overall for the month. Note the band of wet, stormy weather from Nebraska & Iowa to our area to Ohio & even parts of New England with hot, dry weather farther southward. It is likely that we will see a persistent "Ring of Fire" or "Ridge Riders" pattern with severe weather & heavy rainfall that move repeatedly over our area off & on all month. This developing ridging in the south may signal a transition from a weak El Nino Modoki to La Nina.